Jena over at Pure Textuality e-mailed me a couple of days ago with some questions for an interview, and I popped my answers back to her. Some of the focus is upon my Bayne's Climb novella, but I talk about other things, too. Notes: This is another digital freebie I picked up somewhere online a while back. My recent readings have gotten me in a somewhat speculative mood concerning philosophy and religion, so I now turn to St. Augustine for reading material. Mini review: Not the most exciting reading, but interesting from a philosophical and historical viewpoint. 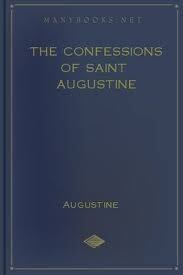 The first half of this little book is exactly as the title describes, Augustine's confessions to various sins committed during the first 40 or so years of his life; I found this part sometimes whimsical. The next fourth of this book is mostly Augustine talking about the death of his mother; this, to me, was the most boring part of the book because the man kept going on and on, though I can understand how the death of a parent can be traumatizing. The final fourth of this book is a mixture of philosophy and religion, with a touch of what today we would call science; this section I found the most interesting, and it gave me a few new ways to look upon the notion of God. 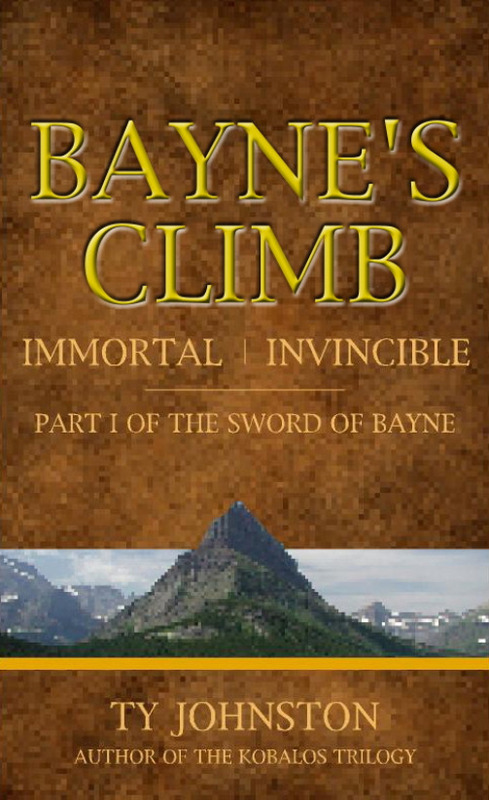 Jena over at the Pure Textuality review site has given my novella Bayne's Climb an epic review! Go check it out. I'm glad she liked it, and thankful for the review. While you're over at Pure Textuality, don't forget to check out the other reviews, and the many news articles about e-books, books and publishing. My new epic fantasy e-book novel, Ghosts of the Asylum, will be officially released Nov. 21, and to promote it I am going on a blog tour for the month of November. Below is my schedule and where I will appear on each day. As of right now, I still have a few days available if anyone is interested in hosting me on those days. I'll update when and if I need to. For those who might not be familiar with the Science Fiction & Fantasy Writers of America (SFWA), it is a professional organization for writers. The focus is upon writers who work in the speculative genres of fantasy and science fiction, but in truth, the organization helps writers of all genres in many ways. The SFWA hosts the Nebula Awards, and can act as an advocate for its members, as well as potentially helping with legal concerns. The membership guidelines for the SFWA are not overly strenuous, but for beginners they can be a bit daunting. Still, even if one is not a member, the SFWA website offers plenty of help and information. Now, I can read the minds of those writers who are not interested in science fiction and fantasy. Each and every one of you is asking yourself, "Yeah, but what can the SFWA and its site do for me?" That's a good question, and the answer is, "Lots!" Beginning writers should probably start with the Information Center on the site. Here can be found tips about the craft and business of writing, as well as advice and information about contract and copyright issues. More knowledge and news can be garnered from the SFWA blog. At the site, one can also keep up with the SFWA Calendar of events. Perhaps most importantly, the SFWA hosts the main link for the watchdog organization known as Writer Beware, which helps writers watch out for scams and such. Even if you have little or no interest in speculative fiction, please do not be so prejudiced as to not check out the SFWA site. There is much here for writers, beginners and pros alike, and you would be missing out if you did not look into this site. During this series, I have looked upon sites that hopefully can be helpful to fiction writers. Here, I would like to shift focus a little, and take a glance at a site which allows authors to be helpful to others, specifically to our men and women in uniform. I'm talking about Operation E-Book Drop. Operation E-Book Drop is really more of a program than it is an active website, though one can access the site to find out more. What this program does is provide e-book authors with a rather lengthy list of e-mail addresses for those who are serving in the military and would appreciate access to free e-books. The author can then create a coupon for a free e-book at the Smashwords publishing and distribution site, then e-mail the coupon code. Those who receive the code can then use it for a free e-book. All members of the coalition forces are eligible, so this isn't something only for U.S. troops. The brain behind Operation E-Book Drop is author Edward C. Patterson, along with the cooperation of Smashwords founder Mark Coker. As an e-book author myself, I like that I can give back in some small way. A few free e-books is next to nothing for me, but can provide entertainment and perhaps even some solace to those who are on the other side of the world and often facing grave danger. And you never know. When the troops come home, maybe you'll have a new group of fans. Book publishers are always looking for new, talented writers. For decades, publishers have found new writers through introduction letters from the writers themselves, and sometimes at conventions and through literary agents. A fear years ago, the publishing company HarperCollins decided to try something a little different. Which birthed the site known as authonomy. At its most basic level, authonomy is another online community for writers, but it is unlike any other such community of which I'm aware, and offers the potential for writers to become published authors. Without going into all the details and rules, here are the basics: Writers can join the site and upload several chapters from their work in progress, then readers and other writers look at the writing and get to rank it. At the end of each month, the five sample writings that are ranked the highest of all those on the site are handed over to a HarperCollins editorial board. The board reads the available material, then posts comments on the author's personal authonomy page. That's it, really, though several authors' books have been picked from the authonomy site for publishing through HarperCollins. There are no guarantees, of course, but this is one more potential road to publication. Most recently, it has been announced that in 2012 authonomy has plans to publish 12 digital editions, and looking ahead is planning to publish 12 each year. If any of those e-books sell well, then there will be print editions of them. So, this offers more potential for becoming published. Like all online communities, one big key here is to become active on the site. Check out the Community and the Forum. Introduce yourself and spend some time getting to know others already there. Then when you feel comfortable, upload some of your writing and go for it. 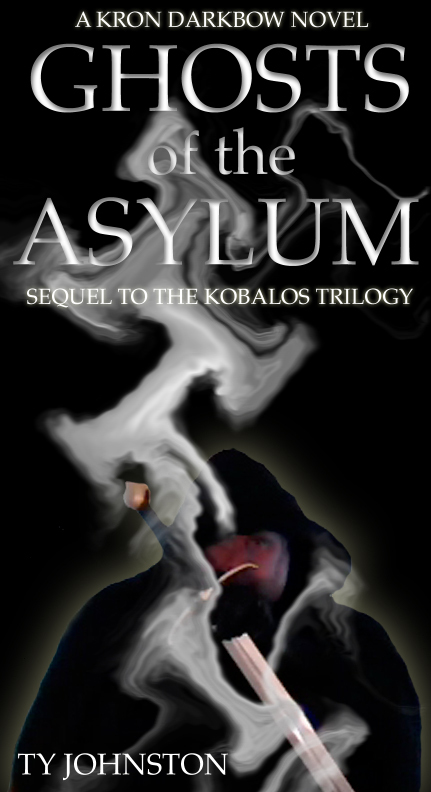 As a warm-up for my November blog tour and the release of my next e-book novel, Ghosts of the Asylum, today I'm appearing over at the blog of dark fantasy author David Dalglish. 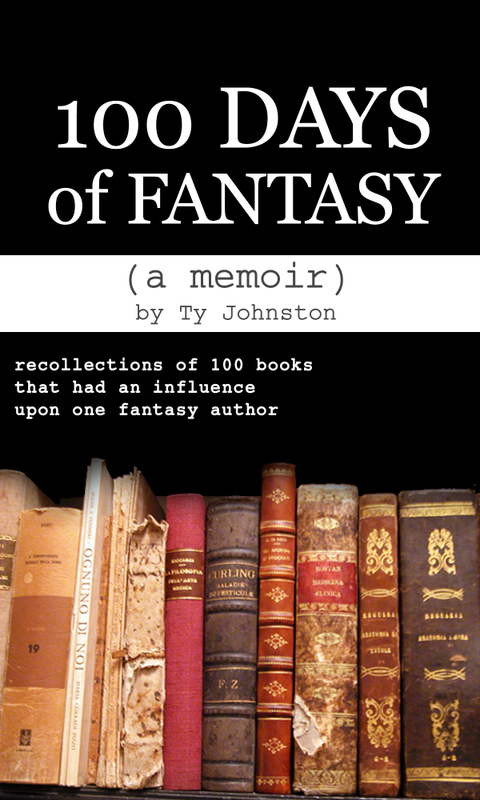 I talk about my own confusion at sometimes being called a "dark fantasy" writer. While you're at David's blog, don't forget to check out his books. He's a darn fine writer, and worth your while, especially if you like epic fantasy with a hard, dark edge. Just to kick off the Halloween holiday a little, I thought I'd offer up a freebie this spooky season. 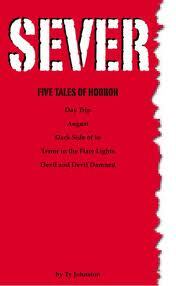 SEVER: five tales of horror, one of my e-books of horror short stories, is currently free over at Smashwords, where it is available in 10 different formats, including those for all major e-reading devices. More and more fiction writers, long-time pros and beginners alike, are turning to self-publishing their own e-books. Today's technology makes it relatively easy for a writer to put together an e-book and get it in front of potential readers. Unfortunately, this can be daunting task to those who are starting out learning about e-books. That's where a site like Publish Your Own Ebooks comes in handy. It's sort of a one-stop place for everything having to do with self-publishing e-books. 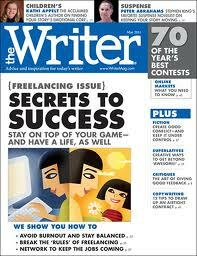 There are plenty of news and informational articles about Writing,Publishing and Selling e-books. There are even numerous articles about E-book Readers, for those who need to find out about these devices. To get all of this information in an up-to-date format, you can sign up for a Newsletter. A lot of the information and news provided is stuff one could find elsewhere online, but the great thing about the Publish Your Own Ebooks site is that this information has been gathered together in one place. Their are tips and advice to be found here, much of it necessary for the beginners, but the news articles about e-books and self-publishing are just as important. Self-published writers need to keep up with publishing news because the business and technology can affect their writing, their marketing and their sales. Notes: I read this science fiction classic twice in my life, the first time in my early teens and then again in my middle teens. I remember enjoying it, but also thinking that it was over my head at the time. Well, I ran across a copy in a used book store recently, and it only costs 10 cents. I couldn't pass that up! Plus, I've been meaning to give this one another try, now more than 25 years later, thinking maybe, just maybe, I'll be able to understand it better. 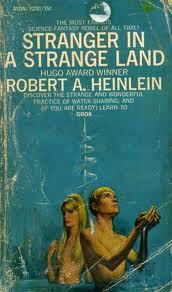 Plus I like Heinlein as an author. Mini review: I was surprised by this book. I had forgotten so much of it. What surprised me was the obvious influence it must have had upon me as a young teen, and even later in life. No, I'm not into all the hippy stuff nor the "Thou art God" stuff, but the cynicism and empathy portrayed by the Jubal character could have come from my own lips. I wouldn't necessarily call this a great novel, but it is a good one. I'm glad I looked back upon it. I grok. The website of New York Times Bestselling author Michael A. Stackpole offers plenty of information about Stackpole himself and his books, but for the fiction writer looking to learn from a professional, there is knowledge here to be found in spades. The site, Stormwolf.com, definitely promotes Stackpole's works, but the home page alone is worth your time to look over. Every few days there is a new article. The topics tend to be related to the worlds of writing and publishing, but every now and then the author will post about himself or thoughts he has on a particular topic. For writers, the most obvious choice is to check out Stackpole's articles On Writing. But one shouldn't stop there. Also available are articles about Ebooks and Digital Publishing, News about technology and publishing, and a whole lot more. Likely most helpful to writers, however, is Stackpole's newsletter known at The Secrets, as well as the companion audio podcasts. The newsletter is not free, but the cost is minimal and topics covered include writer's block, world building, characters, action scenes and more. To learn more about Michael A. Stackpole, check out his Interview page. Especially if you are a fan of speculative fiction, you might want to consider reading some of the author's books. Before the age of the Internet, writers and those who wanted to be professional writers often had to get their information about the publishing industry from magazines. One of the oldest of those magazines is The Writer, originally published in 1887. The magazine is still around and still strong, but it also has a strong Web presence. One can subscribe to the magazine, and/or become an online member of the site, but if you don't there is still plenty of free information available at The Writer Magazine online. There are plenty of Articles, covering Fiction and Non-fiction alike, as well as Freelance Writing, Getting Published and more. There are also Columns from professionals, information about Writing Resources, and an active online Community. In my opinion, one of the strongest elements of this site is the Market Directory, in which writers can search for publishers and agents who are in need of work from writers. You can also do a bit of Shopping, all book and magazine related, of course. Don't forget to find out more about the actual Magazine. You might want to check out some of its features, such as the Classifieds section. Being that The Writer Magazine is the oldest magazine about writing still being published, it is a solid source for all updated information concerning writing and publishing. Writers who are serious about their craft and business should give it a look. Lizzy Ford is a busy author. Not only is she a paranormal romance and young adult novelist, but she also has a full-time job, travels often and is in charge of the Guerrilla Wordfare site. One of her secrets to success is she has a strong team behind her, made up of editor Christine LaPort, graphic artist Dafeenah, translator Toni, and IT and SEO guru Matt. But if you think Guerrilla Wordfare is just another author's site to promote books, you would be wrong. Guerrilla Wordfare is more, much more. Hardly a day goes by in which I don't hear some digital author or beginning writer bemoan the fact that promoting one's writing is a lot of work. Admittedly, it can be a lot of work, but it doesn't have to be. Want proof? Go check out Guerrilla Wordfare. Lizzy Ford's site almost daily offers helpful tips for utilizing social networking sites like Twitter and Facebook to their fullest extent, and with only a small investment of time. SEO guru Matt provides plenty of advice about creating an online presence that draws in potential readers and fans, while Lizzy Ford herself posts about writing-and-reading related matters. Of course you might want to check out Lizzy Ford's e-books to see how an independent author can succeed, or you could discover other Great Indie eBooks and authors. 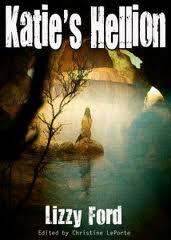 If you would like a free e-book, look no further than Lizzy Ford's paranormal romance novel, Katie's Hellion. There are also Product Reviews about technical issues concerning e-books and blogs, just to help those who might need it. In my opinion, Guerrilla Wordfare is becoming one of the most helpful sites to those beginning their journey as a digital author and publisher. So writers, pay attention. Textnovel is different from any site I've run across. It allows writers to write and publish through their cell phones. One can also write and publish with Textnovel through a Web browser, text messaging and e-mails. The reading audience for this site are those who enjoy reading fiction through their cell phones, though you can also read stories online. It does not cost anything to join the site. Also, writers can't charge for their writing, though there are pluses to joining and writing on Textnovel. This site has an annual contest, with the best novel picked by an editorial advisory board. The winner as chosen by the board takes home $1,000. The runner-up is chosen by the site's readers, and he or she wins $500. Another bonus is that the overall winners improve their chances at signing a publishing contract or a contract with a literary agent. The 2008 winner, Shannon Delany, is known to have signed publishing deal with St. Martin's. Now, just a word of warning. Such a site and contest are not for everyone. I freely admit this. Personally, I'm not all that interested. But lots of writers are interested, which is one of the reasons I include it on this list; that plus the fact Textnovel is quite the unique site. But make sure you read the details in the fine print of the Contest Rules before you find yourself locked into something you don't want. I'm not suggesting there is anything fishy with these rules, but after giving them a quick look, there are a few items that some might not appreciate (such as Textnovel being given the right to act as your exclusive literary agent). Let me repeat: I see nothing dishonest here, but always, always, always read the fine print of any contract and make sure you know what you're getting yourself in for. 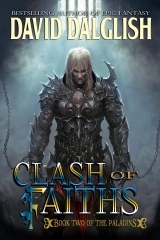 Textnovel is definitely different, and it provides the potential for a unique route to publishing success. As I said, it might not be right for everyone, but I'm sure there are those who will love it. Notes: A biomedical technician finds a way to raise six New Testament figures. That's the basics of the plot of this novel, and it's enough to draw my interest. Mini review: This novel raises lots of interesting questions, and can give you much to think about, but I did not care for the execution. Ah, well. Online sites that try to sell you something are nothing new. So much so, online viewers are often turned off by such. But every now and then there is a site trying to sell you something but is worth your while to pay attention. I don't normally like to promote such sites, but what author isn't selling something? And sometimes these sites can be worth your while. The Savvy Book Marketer is such a site. Yes, Dana Lynn Smith, the author in charge of this site, would likely be thrilled if you bought some of her guides about marketing books and e-books. But where her site differs from many others is she actually offers tons of free advice right there on her site. For example, the site contains plenty of free articles about Marketing Tips for getting out the word on your books and e-books. There is also a section about Ebook Publishing, especially good for writers just making the switch over to digital. The Aspiring Authors section has plenty of advice to offer beginners, and there are Resources to help authors sell more books and e-books. It seems every time I turn around there is a writer talking to me about trying to find new ways to promote their work, which is the main reason I suggest others peruse The Savvy Book Marketer site. As I've said, this website offers plenty of free tips and advice, and if you should decide to go deeper into the subject, there is material for sale. If you don't have a clue as how to market your books and e-books, this site is well worth your while to study. I have never read anything by author Jonathan Franzen, but I saw him on television recently and he had a quote I simply loved. When talking about religion, he said, "I worship at the altar of literature." I like that. I really, really like that. I've been telling people for the longest time my religion is "books." And here Franzen has said it better than I ever could. Notes: This was another freebie I picked up from Amazon, and I have some historical interest in the subject matter. As with many e-books, this one is hurt by the lack of the many illustrations that went along with the original print version, but I know what many of the tools look like and the rest I can look up online. Mini review: Some minor interesting knowledge here, but mostly it was too basic and quite inadequate. I would have liked a lot more indepth and specific information about the history of the tools mentioned, instead of the glossing over given here. LibraryThing calls itself the "world's largest book club," and with more than 1.4 million members at this online site, that boast might be the truth. What kind of things can you do at LibraryThing? You can catalog all of your books, helping you to keep track of them. This is especially useful for those who read a lot. And even if you are more of a casual reader, this site's cataloging features can help remind you of your favorite reads. You can also join in all the Talk, the forums section of LibraryThing, where just about anything having to do with books can be discussed. If you want to chat online about a particular genre or some other niche audience, you can always join one of the many Groups. Then there is the Local feature, which can give you a list and map of all the libraries, book stores and book-related festivals in your area, as well as a list of upcoming book-related events. All of that is great. It's fine. But if you're a writer, what can it do for you? Obviously, you can use some of the features listed for promotional purposes, at least if you don't overdo it. But there's also another feature at LibraryThing. It's called Early Reviewers. This service allows publishers to give away advance review copies of a book or e-book for reviews. Doesn't that sound like a nifty service? Writers can also join LibraryThing and create an author's page for themselves. That combined with the sheer amount of information about books and other authors makes LibraryThing a site worth checking out. 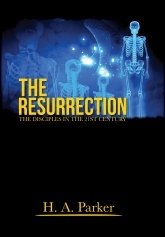 In the last week I have released two more e-books. 100 Days of Fantasy is an edited, collected version of my 100 Days of Fantasy 2010 blog posts from last year. These posts looked at 100 books that influenced me as a writer. 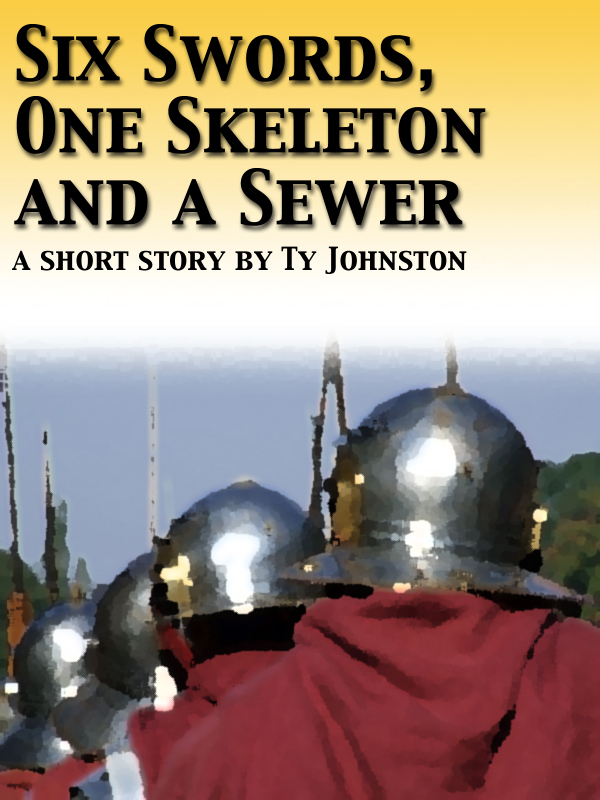 Six Swords, One Skeleton and a Sewer is a fantasy short story set in the world of my Ursian Chronicles. It takes place in the city of Bond about five years before my Kobalos Trilogy. This tale is meant to be slightly humorous. 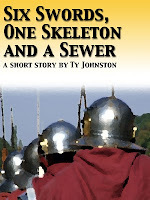 A squad of city guards are sent to investigate an underground building recently unearthed. Unfortunately, the squad is full of idiots. Both e-books are available at Smashwords right now, but within a couple of days should be available for the Kindle and the Nook. Within a few weeks they should be available for all other major e-reading devices. There is so much information to be found at the Writers Write website, it's difficult to know where to begin when trying to describe it. Maybe I should mention its Recent Headlines containing news about all things related to books, publishing and writing. Or perhaps I should bring up its extensive list of Book Excerpts, or the site's long list of links about Book Awards. I can't fail to mention the Book Giveaways, or the links about Blogging, Fiction Writing, Journalism, and even Greeting Cards writing, Screenwriting and Self-Publishing. There is also information about Book Publishers, Job Listings for writers, and plenty of Articles pertaining to writing. I could go on. There are easily another dozen links, perhaps more, I could mention, but I think I've provided enough. The Writers Write site claims to be "your one-stop resource for information about books, writing and publishing," and I can't argue with that. There is so much information here, and links to information, that this has to be one of the most extensive sites about writing on the Internet. So go spend a year or three reading everything it has to offer.